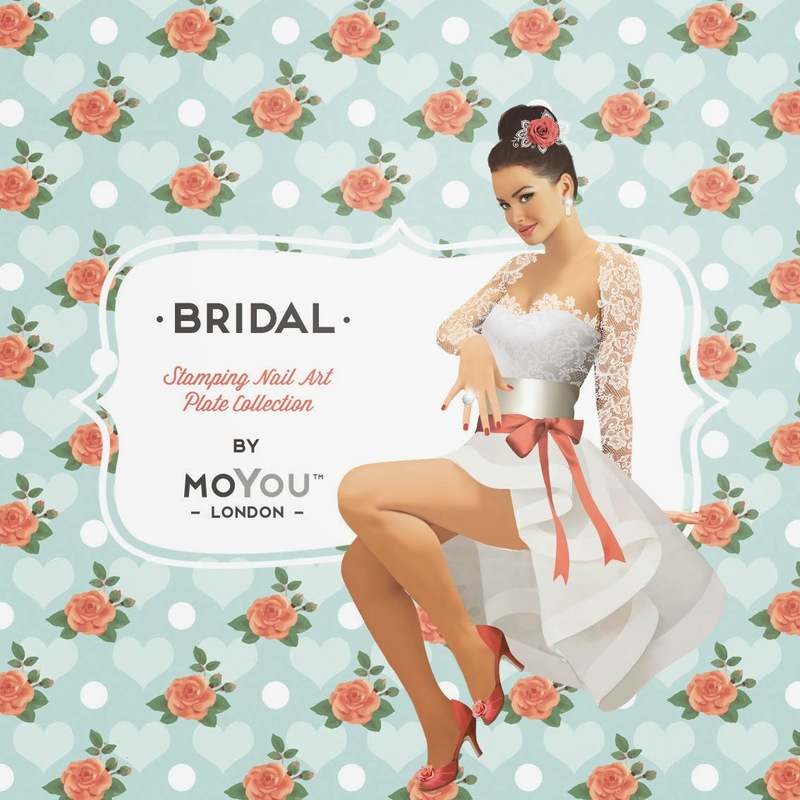 Lacquer Lockdown: Hot Off The Stamping Press: MoYou London Bridal Collection! 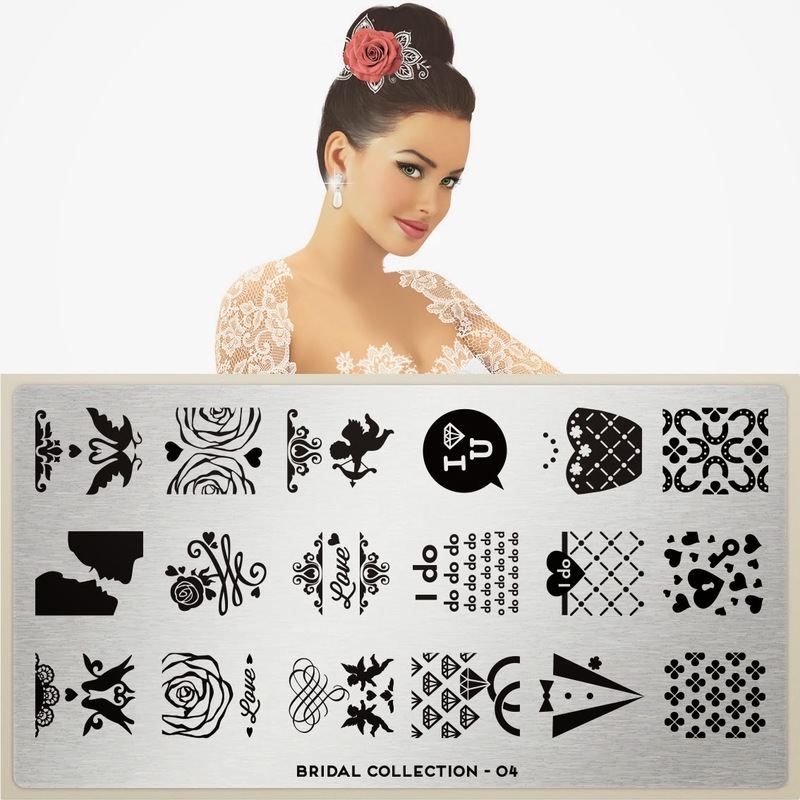 Hot Off The Stamping Press: MoYou London Bridal Collection! It's a 3-fer today here on the blog! Why because it's pouring plates again and you know I like to swoop in and do my part to fill you with fantasies of the new plates you need to add to your collection ;) MoYou London has decided to release another collection this time aimed at all those bridezillas and romantics out there. Sadly I'm not one, but I'm always excited to see more plates particularly with new innovated images. So let's get into shall we? Favorite images here are the "I do" with the crosshatch and the silhouetted couple. I find most of the other images somewhat similar to other images I have in my collection. The linked rings and diamonds is a 1st for me though. Finally a plate with everything I love! Lace lace lace lace lace!!! These plates are gonna fly off the proverbial shelves. There have been so many ladies buzzing about the lace plates released recently I can't see anyone passing on them even if you aren't particularly interested in this collection. And same as above but an XL version. I'll take this one too! Lol. So ultimately I have mixed feelings about this collection in general. Don't get me wrong. MoYou London is one of my favorite plate makers and they literally offer something for everyone! However, I'm not big on the hubbub that is the traditional American styled wedding, and even less on the whole romance lovey dovey thing. Quiet, low key, and with excellent food and liquor is the way to go for me. That said some ladies want it all and this collection will pander to that sentiment. 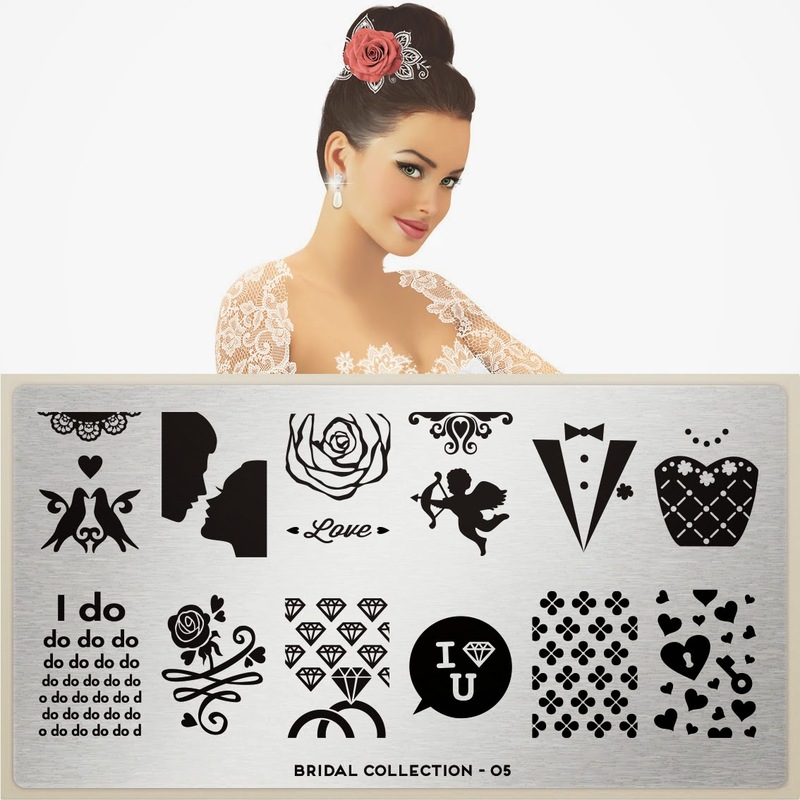 One other thing that causes me to be a little hesitant with this collection are the themes which I've seen already on so many other plates - cupids, roses, hearts, more roses, more diamonds, tuxedos. Sorry, but that's truly how I feel. To be honest I was really hoping MoYou would take this collection in a totally non-traditional direction showing us brides all over the world. I know ladies are still gonna eat these plates up though. Lace lace lace yes yes yes :) gonna buy! Love the lace plates, but underwhelmed by the rest of the imagery. They missed the chance to celebrate marriage equality in their country with some cute double groom and bride graphics, but who knows what the next set of plates might bring. Yes indeed as I said I wasn't very blown away by this collection as a whole, the lace is lovely, but 2 other brands to date have already done lace in extremely gorgeous ways so the concept isn't original. I agree they could do more but maybe they have other ideas coming down the pipeline and they do seem fairly responsive to feedback which is great!